As I'm sure is the case for most of you, dinner is a chaotic time around here. In our house, we have two kids three and under, an unpredictable daily itinerary since my husband is often on the road and my work schedule varies because of this, and four very different eaters in the family (a vegetarian, a meat eater who will eat veg but likes hearty foods, a picky preschooler, and a baby/soon-to-be-toddler who is learning about new foods). Dinner prep time is busy and messy and a little erratic. Robbie and I have to work to find meal ideas that suit all of our needs and are quick/easy but also fresh and wholesome. So when we experiment and come up with something that fulfills all of these things and also tastes really delicious, we make it a lot. And when we love something enough to make and eat it a lot, I obviously have to share it with you guys. 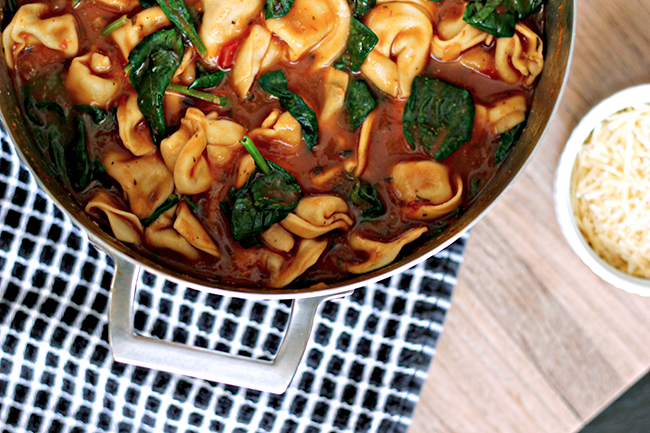 This super easy, six ingredient tortellini and spinach soup is just that type of recipe. We adapted it from a beloved recipe from Robbie's side of the family by simplifying and making it vegetarian. You're going to love it. Trust me. Pour vegetable broth into a large pot and heat until boiling. (While broth is heating, mince garlic. Or for an even quicker prep, use jarred minced garlic.) 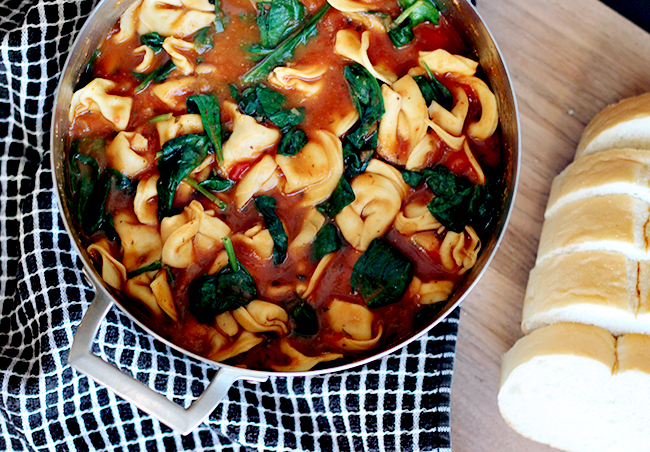 Add tortellini to boiling broth and cook for five minutes, stirring occasionally. Reduce heat to a simmer and stir in marinara sauce and garlic. Cook for five more minutes, then stir in baby spinach and immediately remove from heat. 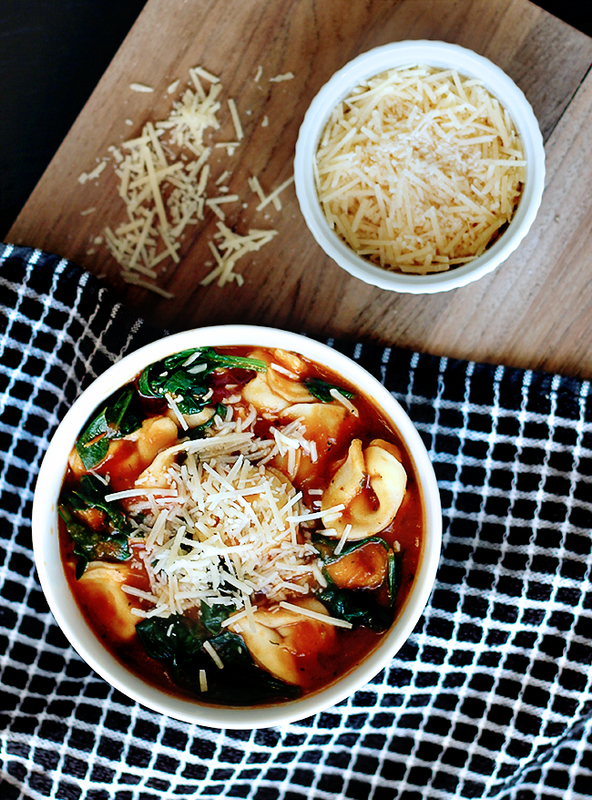 Serve hot in soup bowls topped with shredded parmesan cheese and your favorite fresh Italian bread. The key ingredient for me in this dish is the Buitoni's pasta and sauce. Buitoni is my absolute favorite authentic Italian brand, for a number of reasons. 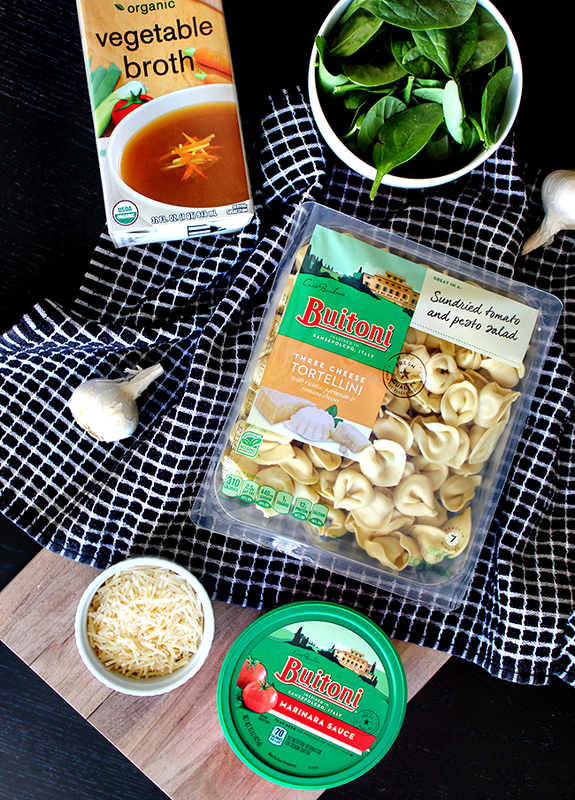 Their no GMO, freshly made, clean label vegetable-infused pastas and sauces are beyond delicious - they taste fresh because they are fresh, and they serve as the perfect ingredients to help me create unique, truly vibrant meals that everyone in my family loves. As a vegetarian, I am thrilled with all of the veggie options Buitoni offers. Even my husband, who loves his meat, man, is a huge Buitoni fan because their vegetarian products are so hearty and satisfying. My daughter is the pickiest eater in the family, and she asks for dishes that incorporate Buitoni ravioli or tortellini multiple times a weak. Even baby Emmett adores their pastas, especially this particular recipe - it was the first soup he ever ate and he gets so excited when he sees we're having it for dinner! 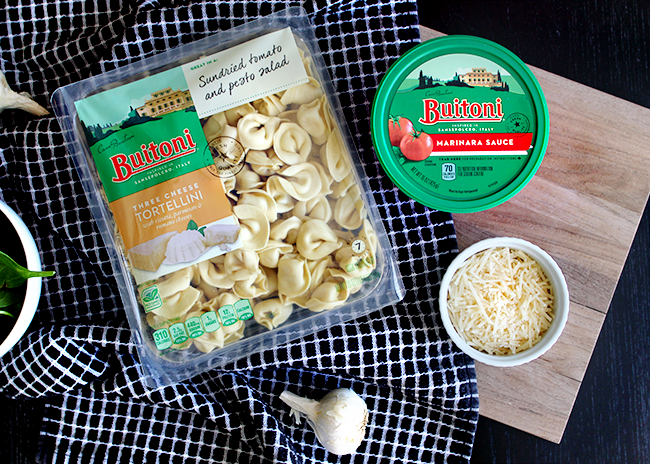 We use Buitoni's products in all sort of different dishes too - from this soup to summer veggie + ravioli dishes to pesto pasta casseroles - and have fun getting creative and coming up with fast, simple-to-make meals that maximize our time. 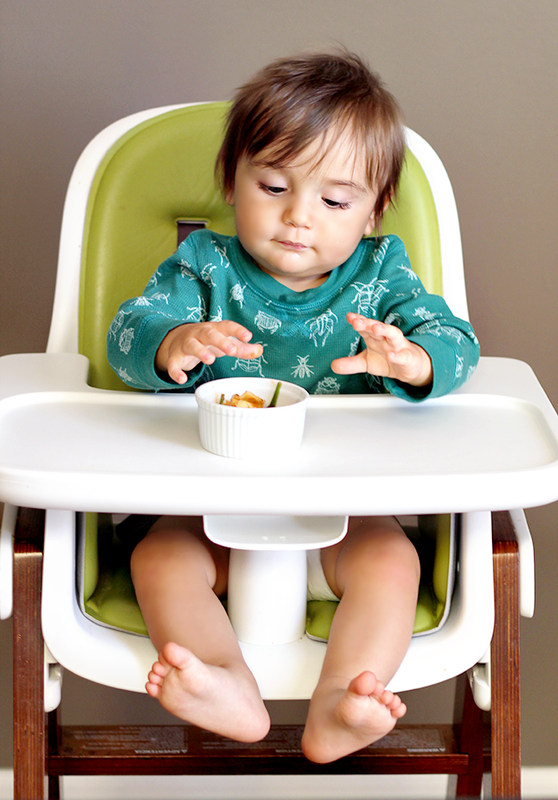 And when these meals allow for a joyful family experience where everyone is happy with the meal, it feels like the ultimate dinnertime success. For real. 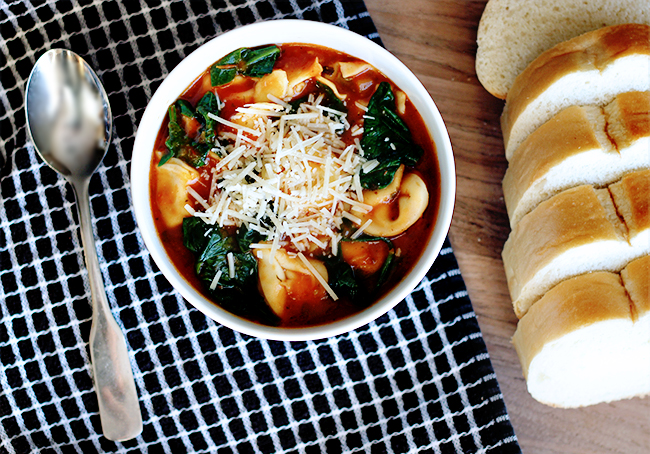 Have you ever had tortellini soup? What is your favorite Buitoni product? 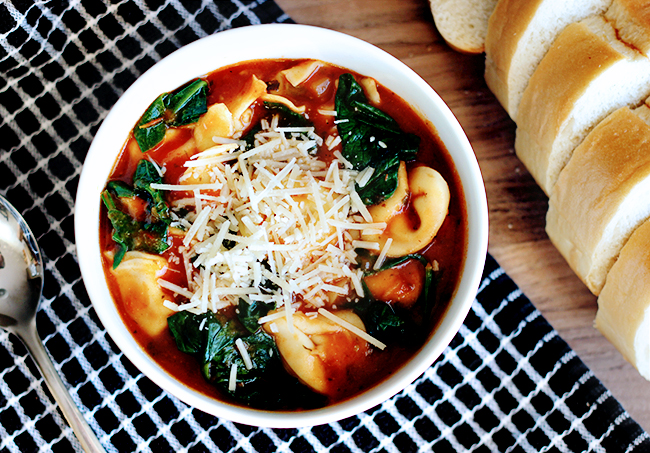 This looks delicious and perfect for winter! Mmmmmm I need this right now!